By now you’ve heard I love entering contests. My business partners and I also run contests. That’s why I know contests are a) a great vehicle for PR and b) just too much fun … especially if you win like I just did!!! I won the State Parks Campground Cookout contest with my Fire Foil Packets recipe. I was just messing around online one day and saw the contest. I reflected, well, I have a great camp recipe and quickly entered. Viola, today I was notified that I won and now get a package of prizes from the State Parks. Yippee! If you’ve not caught my personal YouTube channel which features “Fast Food From the Farmer’s Market” cooking videos alongside updates on how my 2011 New Year’s health resolution goals are going (yes I’m still working on my New Year’s resolutions), then check it out now. I just uploaded the best campground cookout recipe that’s healthy and inexpensive to boot. $14 feeds a family of four (at home or the campground). And you bachelors for sure need to watch the video so you’re not eating frozen pizza night after night (like my husband used to before we were married). 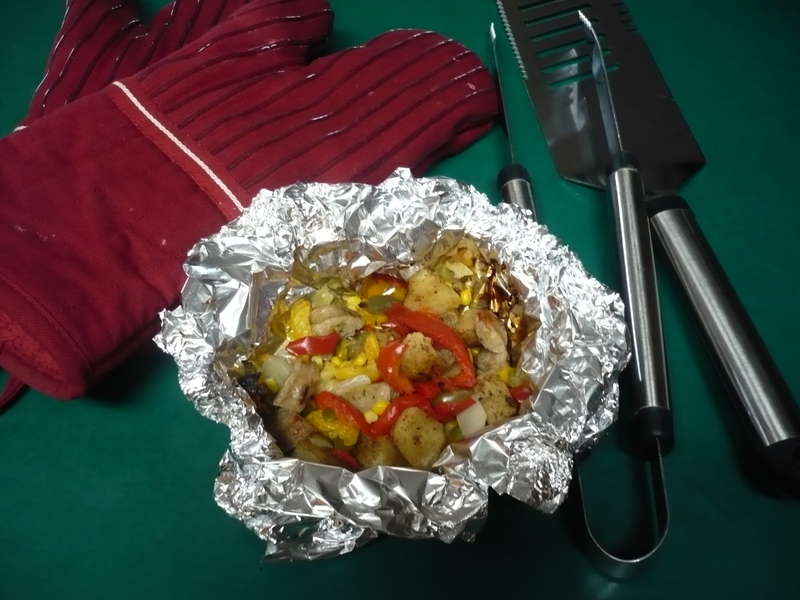 I have to say, while I taught my husband the at-home foil packet version, he and his whitewater kayaking/off-road motorcycle friends perfected the sausage, corn, onion and potatoes fire foil packets at the campground! Seriously though, if you want to add fire to your public relations, contests are the way to go. A decade ago traditional media would cover winners because they lived in their immediate coverage area. Today, social media reaches well beyond your backyard and your contest winners can be featured on Facebook, Twitter, YouTube and dozen more sites. I mean, the State Parks didn’t know I was a publicist and now look — I’m promoting my win to all my friends and family! In today’s world, we each have our own ‘audience’ and our own distribution methods. Remember that. Oprah reminded us of that on her last show. She was right. We each have our own reach, so to speak, just like any media venue on TV, in print, on radio or online. So, play with your peeps. Fun is the fire. Contests also get you photos. Years ago I read about an ugly sofa contest. Hysterical. How can you take your product, service or organization and create a contest around it? In the end, we all just want to have fun. Contests bring us back to the innocence of our childhood and screams, “Let’s play.” In today’s online media world, getting people to play with you is the best way to do PR. Once you gather all your playmates, stoke the fire and dream up new and different games, contests and campfire discussions. I can hear the PR fire crackling into the night already. Here’s to ‘smore’ PR. (Giggle.) How do you plan to stoke your PR fires now? You are currently browsing the Michelle Tennant Nicholson blog archives for September, 2011.